Endocrine disruptors are substances likely to interact with the endocrine system, causing an impact on health, in particular the development of cancers or human reproductive disorders. They can be found in many everyday consumer goods, including cosmetics. They raise much concern and give rise to multiple reactions, both from the general public and political and health authorities. All this implies many uncertainties as regards a number of ingredients widely used in cosmetics formulas. 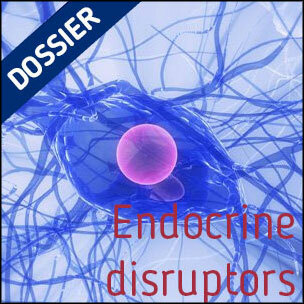 This dossier provides an update on what should be known about endocrine disruptors. When we first started to hear about endocrine disruptors, very little was known about them. It was soon widely acknowledged that they were likely to be harmful for human and animal health and for the environment. But through which action processes, in what quantities, under which conditions, for what type of populations… that was much more confused. Then, knowledge got more and more accurate over time, until scientists were able to set up a list of substances whose endocrine-disrupting potential was proven or suspected, and whose properties are now closely examined, in particular through ‘strategies’ defined on the national and European levels. Aug. 10, 2018 Endocrine disruptors: why do they raise so much concern?